This article was written by Michael Snyder and originally published at hisEconomic Collapse blog. 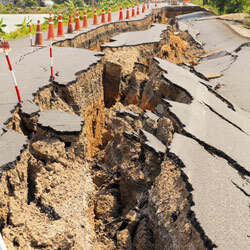 Editor’s Comment: Though the big one in California could come at any time, major events have been stirring in the locales most vulnerable to earthquakes and tsunamis. Chile is a prime example, but the population there evacuated to safety in less than 20 minutes, with the aid of an advanced warning system and proper protocols put in place by a government that was caught off guard during a previous disaster in Santiago. The same expectation for a safe and expedient evacuation is not in place for cities like Los Angeles and San Francisco. A major earthquake and or tsunami off the coast of California, or in Alaska, may be enough to destroy everything in its path, as previously discussed in: Are Devastating Tsunamis Headed for American Cities? “There’s Enough of a Chance”. Many other parts of the U.S. are not safe either, with an unprecedented spike in earthquakes in Oklahoma due to man-made fracking practices and many looming disaster zones particularly along the New Madrid fault line.